One of the things that makes Jack Kirby’s work so legendary is his trademark style of drawing, formerly known as the Kirby Krackle. This term refers to the the sporadic dotting that Kirby uses to fill up the negative space and background in his comics. It seemingly has the appearance of small round puffs of smoke connected to each other. A prime example of Kirby Krackle would the racing scene of Kirby’s Kamandi, Last Boy on Earth. Below is a picture of the scene. In this image, we see a chaotic scene taking place: several characters shouting, machinery engulfed in flames and ruin and people panicking. But amidst all this, something else holds your attention: a volcano-shaped cloud of smoke. Most of the time the Krackle looks like this. Of course, like any good artist, Kirby also uses his style in more than one way. In some his books, you will the Krackle in smoke form, while in others, its just simple used to fill up negative space. 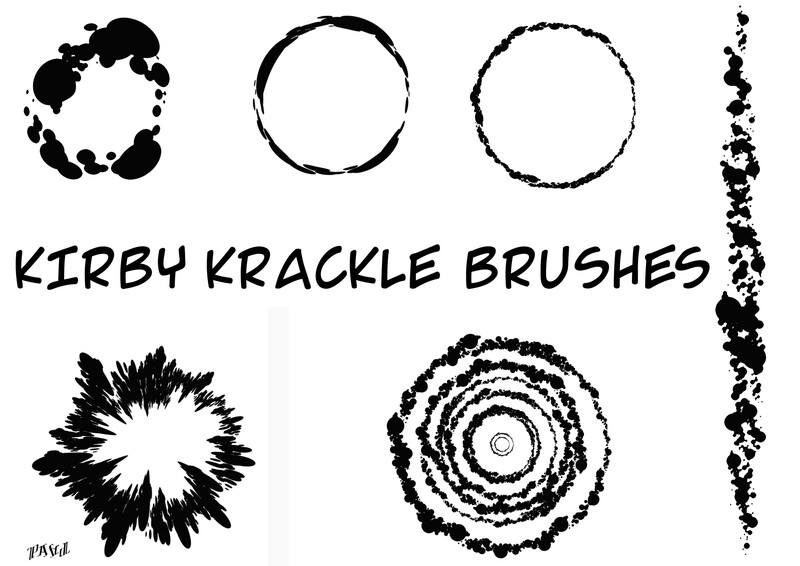 Kirby Krackle Brushes photo was provided by Creative Commons. I do not own this photo.